Completely updated for the newest trends and technologies, The Essential Guide to Telecommunications, Fifth Edition, is the worldâs top-selling nontechnical guide to todayâs fast-changing telecommunications industry. More than 170,000 copies of previous editions are in print, and this indispensible resource has been translated into nine languages. This indispensable guide provides everything you need to know about telecommunications nowâwhether youâre a salesperson, marketer, investor, or customer. 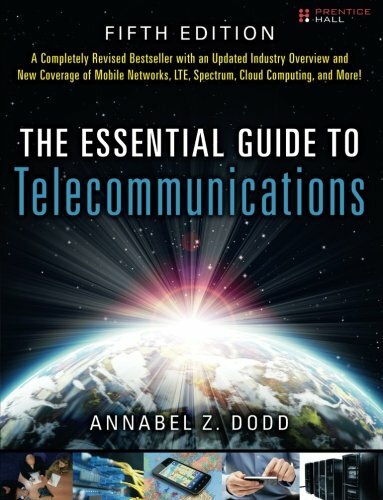 About: “Annabel Dodd is a maestro when it comes to demystifying even the most complex telecommunications policies. About: The Essential Guide to Telecommunications, Third Edition, is a hugely popular non-technical guide. About: Every business decision-maker needs to understand telecommunications: its costs, risks, and breakthrough opportunities for competitive advantage.